Supreme Court Associate Justice nominee Brett Kavanaugh appears before the Senate Judiciary Committee during his confirmation hearing. In a call to the White House's supporters and donors Monday, presidential advisor Kellyanne Conway defended Supreme Court Justice nominee Brett Kavanaugh, comparing the allegations of sexual misconduct against him to those of "elite media figures." Conway, who is originally from the Atco section of Waterford Township, Camden County, first said last week that Kavanaugh's accusers should be heard. Monday, however, the Washington Post's Josh Dawsey reported that Conway defended Kavanaugh's nomination, saying the allegations by Yale University professor Christine Blasey Ford and former Yale classmate Deborah Ramirez were not proven. She went on to say that the allegations against media figures such as Hollywood producer Harvey Weinstein, former CBS CEO Les Moonves, and former "Today Show" anchor Matt Lauer were worse and have been proven. Conway came at the issue from a different angle when appearing on "CBS This Morning," saying on Monday that the allegations are different because Kavanaugh wasn't "powerful" in college or high school, when the incidents allegedly took place. “This may be the first time we ever heard of allegations against someone as a teenager who did not prey upon women thusly as he became powerful,” Conway said during the broadcast. “It’s when men become powerful and think that they can use women and interrupt their careers if they want to for their own predatory proclivities that then they start preying upon women,” she said. Kellyanne Conway serves as counselor to the president. 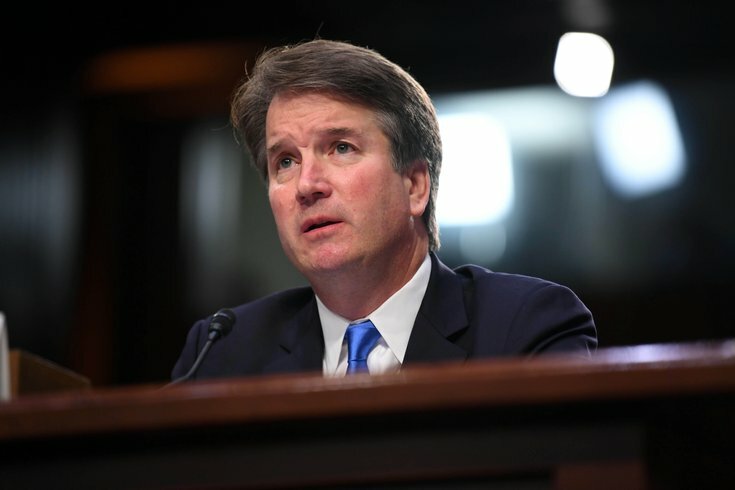 The allegations against Kavanaugh drew greater attention Sunday when The New Yorker published an account from his second accuser, Ramirez, who attended Yale with Kavanaugh and described an alleged incident of sexual harassment that occurred during a party. The report of Ramirez's allegations came a week after Ford was revealed as Kavanaugh's first accuser, who described Kavanaugh allegedly assaulting her at a high school party. Ford and Kavanaugh are scheduled to testify before the Senate Judiciary Committee on Thursday regarding the allegations.